Do you see water “bubbling up” from your downspout connections? If you do, you may also see water accumulating around your house. This is a problem. Eventually, this water can end up in your basement or crawlspace. Over the long-term, it might cause settling – everything from the sinking of your walkway or front stoop to more serious (and expensive) foundation movement. The bottom line? There’s a good chance the corrugated pipes that connect to your downspouts have failed. If they have, they’re encouraging drainage problems. Not solving them. Most drainage systems rely on black corrugated piping, a product that only lasts 3 to 8 years. Corrugated pipes clog easily. They also leach water at the fittings, a situation that encourages root growth inside the pipes themselves. They’re fragile. They break, tear, and get crushed. When any of those things happen, dirt and outdoor debris clog the pipes – often permanently. If they’re not fully obstructed (yet! 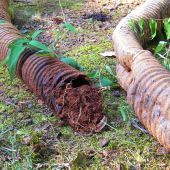 ), it may be possible to clean out, or “jet,” your corrugated pipes. But when you do, they get clogged again. And again. Even after just a few months. 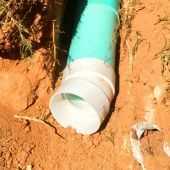 For a long-lasting solution and a permanent replacement for your failed corrugated piping, we install a highly efficient, extremely durable replacement system that uses all PVC components. Drainage systems require gutters and downspouts which operate properly. Do yours? If not, we can help. Our team can apply technical corrections to gutters and downspouts or install new seamless gutters. We can also provide an honest opinion about removing or installing gutter covers. Landscape or Hardscape options may improve drainage around your property. When it makes sense, we install landscape and hardscape finishes in conjunction with drainage improvements. We come to your home to discuss the problem. Show us where your drainage system has failed and tell us how the problem has impacted your property. 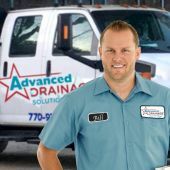 We perform a visual analysis of your drainage system, noting all points of concern . 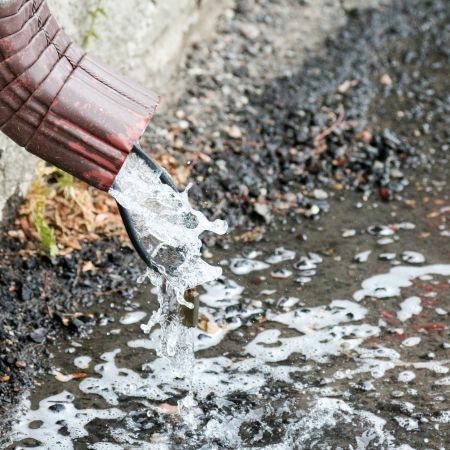 We also look for other conditions which may contribute to your drainage problem. Based on our review, we propose specific recommendations. 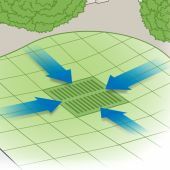 We usually provide pictures or color-coded diagrams to show you how your new drainage system will work. On a scheduled date and time, we take action. Our team replaces your failed drainage equipment with a quality, dependable, zero headache replacement system.